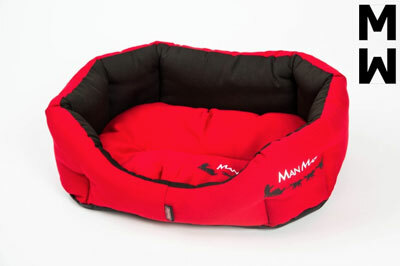 Dog bed Comfort are very comfortable and practical made of high quality dralon, that is water and dirt resistant and doesn't absorb smells. If a liquid 'appears' on the bed it doesn't soak in. Material dralon is for 'high maintenance dogs. The fill is made of hollow fibres.